What Are Your Tooth Whitening Options? Taking good care of your teeth is a great way to keep them looking brilliant. But even if you’re careful about brushing, flossing, and visiting your dentist every six months, discoloration can gradually develop. Your teeth can become stained through contact with everyday beverages and foods such as green tea, red wine, and blueberries. Sometimes, teeth can develop deep stains simply because of the aging process. If you feel your smile could be a little brighter, you can talk to your dentist about your teeth whitening options. Many people begin working on their tooth stains with over-the-counter (OTC) whitening pastes, gels, and strips. Unfortunately, these OTC at-home products aren’t usually effective enough to produce truly brilliant results. They can also take a long time to work and require many applications. Additionally, there is the possibility that OTC products will irritate the gums and cause tooth sensitivity. In contrast, professional-grade teeth whitening procedures that are available at your dentist’s office can effectively and safely whiten your teeth in just one office visit. For some people with mild tooth discoloration, a professional teeth cleaning may be all that’s needed. At your appointment, your dental hygienist will use specialized instruments and techniques to carefully scrape the plaque and tartar away. He or she will thoroughly polish your teeth with a mild abrasive to lift away surface stains and leave you with a beautiful, healthy smile. If your teeth have become slightly yellow or your discoloration doesn’t respond to a professional teeth cleaning, it might be time to talk to your dentist about Zoom! whitening. This is one of the most effective, professional-grade whitening systems available. Your dentist will first examine your smile and then apply protective materials on your gums and lips. Then, your dentist will apply the Zoom! gel and activate it with the Zoom! light source to break up and remove stains. You can achieve brilliant results with just three 15-minute applications. Park 56 Dental can help you achieve your goals for your smile with our advanced Zoom! whitening system, teeth cleaning services, and other smile restoration services. Schedule a visit with our dentist for a teeth whitening or teeth cleaning in NYC today. You can contact us at (646) 783-3529. Most people do what they can to keep their pearly whites both pearly and white, but there are certain factors that bring about adversity. Unfortunately even the best dentist in NYC cannot keep you away from certain foods or prevent you from aging. Read on if you are wondering what is staining your teeth. If you want to keep your teeth as bright as you can, you will need to pay close attention to the foods you eat and the beverages you drink. Certain foods and drinks that are intensely colored are more likely to stain your teeth. Fruits like blueberries, blackberries, and raspberries can stain your teeth and lead to significant discoloration. Beverages like coffee and wine can have the same effect as well. Avoid discoloration by mixing your berries into smoothies or drinking your coffee with a straw. Sometimes your tooth discoloration can come from the inside rather than the outside. There are a few factors that could lead to the darkening or yellowing of the dentin in the inner layers of your teeth from the inside. Certain types of antibiotics may cause this change in tooth structure, even if your mother used them while she was pregnant. You may also suffer from intrinsically stained teeth in adulthood if you suffered a fall, blow, or other trauma to the mouth area when you were a child. You will notice many changes in your body as you age, and discoloration of the teeth may be one of them. The inner dentin of your teeth will naturally become yellow as you grow older; whether it shows through or not depends on the individual case. Keep your dentist appointments to keep your teeth in top shape. If you have stained or discolored teeth and would like to learn about smile restoration options, feel free to call Park 56 Dental at (646) 783-3529. We strive to be among the best dentists serving NYC. Feel free to stop in and see us or visit our website to learn more about our root canals, veneers, and dental implants. Yellowing, stained, or discolored teeth can make your smile less attractive. 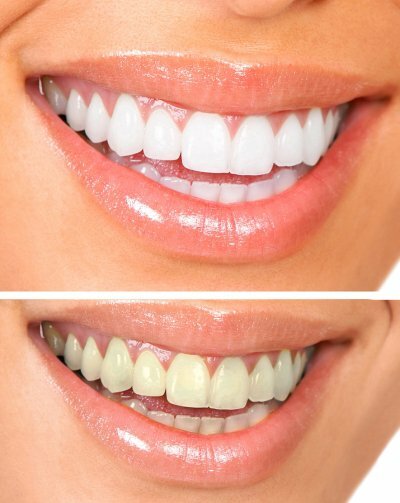 In-office and in-house procedures can help to restore your teeth to a brighter shade. There are also a number of things you can do to maintain the whiteness of your teeth between visits with your top dentist in NYC. To keep your pearly whites bright, you will need to avoid certain foods and drinks, including coffee, tea, and wine. Drinking through a straw may help to prevent these staining liquids from coming into contact with your teeth. You should also rinse or clean your teeth after consumption. Good dental hygiene is crucial to prevent discoloration. Brush your teeth twice a day and floss at least once daily. A whitening toothpaste, used once or twice weekly, can also help to prevent superficial stains. Regular visits to the dentist office for touch-up treatments can help to keep your teeth white. At Park 56 Dental, we offer a range of smile restoration and maintenance services, including teeth whitening, veneers, and dental implants. 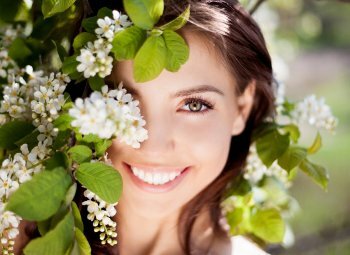 To learn more about our teeth whitening treatments, visit our website or call us at (646) 679-3998.